Not sure what are the most important resources for your paper? Want to find an article online but no idea how? Or having trouble accessing an e-book? 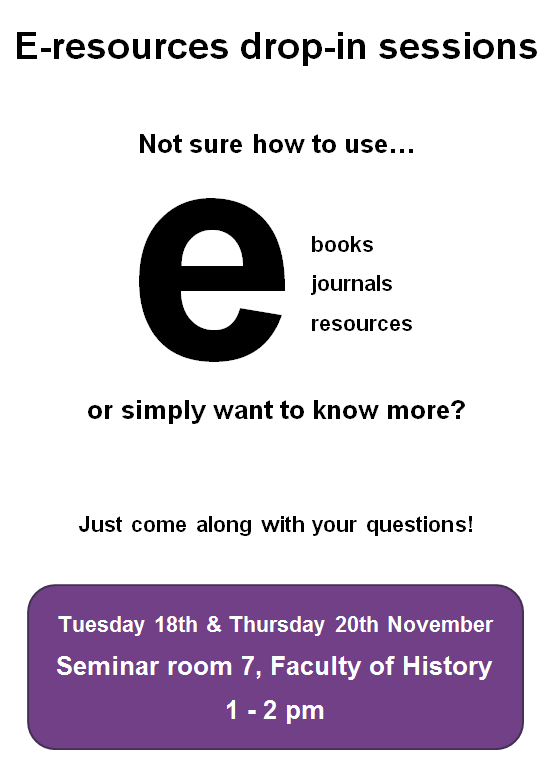 If you have any questions about e-books, e-journals or any other e-resources bring them along to these informal and friendly drop-in sessions. If you simply want to know a bit more the team will also be happy to talk to you about e-resources in general and why you should consider using them during your studies. Elsevier Medical ETextbooks are now downloadable! Did you know that the 12 titles we own on Elsevier ETextbooks are now downloadable? University of Cambridge members can now access the Translated Texts for Historians E-Library until Friday 7th March. This is a 54-volume digital library with over 14,000 pages of translated historical sources from A.D. 300–800. Examples of the content include the political letters and speeches of Ambrose of Milan to Zachariah of Mytilene’s Chronicle. Note that during the trial we do not have the ability to download the PDF. 3. Select the country (United Kingdom) and institution (University of Cambridge) – note that if you tick ‘Remember my selections’ you won’t have to do this each time you access the content. 4. Click ‘Log in’, and then enter your Raven details as usual. If you think this online collection is valuable and useful for your studies please send your comments to the ebooks@cambridge team on ebooks@lib.cam.ac.uk. If you don’t like the platform or find it difficult to use, please contact us to tell us why. 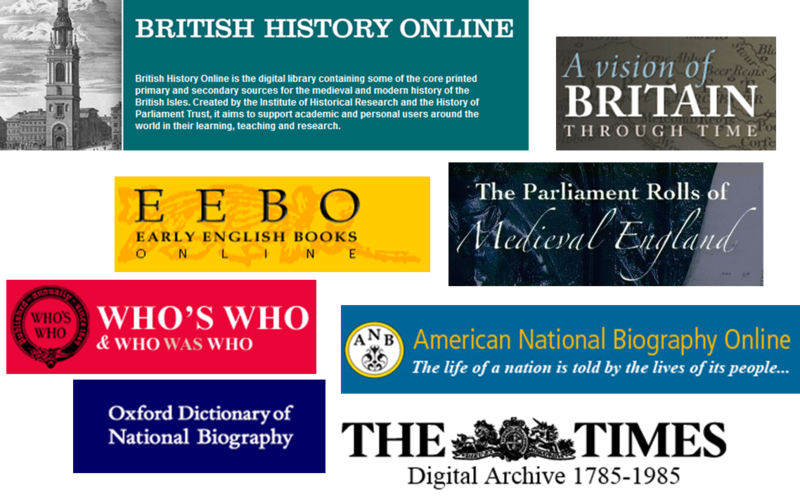 This resource will be available in LibrarySearch from January 2014. The Encyclopedia of Hebrew Language and Linguistics Online offers a systematic and comprehensive treatment of all aspects of the history and study of the Hebrew language from its earliest attested form to the present day. It features advanced search options, as well as extensive cross-references and full-text search functionality using the Hebrew character set. With over 850 entries and approximately 400 contributing scholars, the Encyclopedia of Hebrew Language and Linguistics Online is the authoritative reference work for students and researchers in the fields of Hebrew linguistics, general linguistics, Biblical studies, Hebrew and Jewish literature, and related fields. Access the Encyclopedia of Hebrew Language and Linguistics Online via the link here. The joys and perils of Ebooks, we thought it would be easier! On the 26th November I attended this conference run by JIBS – ‘JIsc (assisted) Bibliographic dataserviceS’. They work with bibliographic and full text data services which are made available to Higher and Further Education institutions. JISC is a registered charity who champion the use of digital technologies in UK education and research. The main purpose of the day was to discuss the difficulties faced with the uptake of ebooks in academic institutions. We began with a talk from Caren Milloy, Head of Projects at JISC Collections. She gave a general overview of the current situation, including a run through of a timeline showing how JISC has worked with ebooks since 2001. One project of particular significance was the National E-books Observatory Project which ran between 2007 and 2010, the first piece of research looking at how ebooks are used by students. This involved offering 36 ‘free-at-point-of-use’ course text e-books within 127 universities. Students appeared to be using ebooks for a different reason to print, spending very short periods of time within the text. Interestingly it was also found that the introduction of ebooks had no effect on print circulation in these libraries. Caren also gave an introduction to PDA (Patron Driven Acquisition), which Jill Taylor Roe from Newcastle University expanded on later in the day. Our second talk was given by Elaine Mulholland from St Mary’s University College, Belfast, who introduced us to ebooks in Further Education. She has carried out some research into lecturing staff’s perceptions, attitudes and experiences of ebooks in Northern Ireland. Areas of interest included studying gender bias in the use of ebooks, of which none could be seen, and what were the most common methods of discovery, email notifications. A majority of lecturers (54.2%) were found to not use ebooks because they were unaware of the relevant titles available in the subject they teach. This confirms how important promotion is, with 65% of lecturers saying that instruction by librarians is vital. Finally Elaine emphasised that further education colleges need to work together in order to increase the use and availability of ebooks. After a break Jill Taylor Roe, Deputy Librarian at Newcastle University, talked to us more about PDA. Firstly she discussed how libraries are a service and so it is a given that they should care about satisfaction, especially in order to ensure financial stability and future investments. By using models such as PDA the library was getting students involved in their book selection, using the overdue loans income to fund the project, for both print and electronic material. 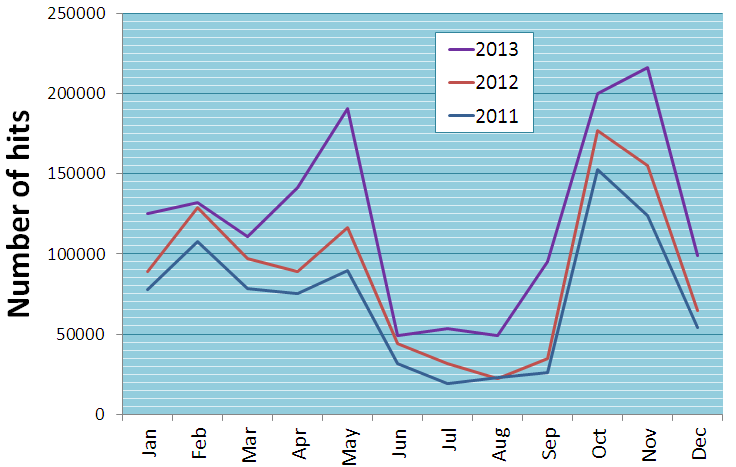 EBL was chosen as they could profile usage by department, and exposed costs to users in the library catalogue records. Overall PDA, which has been running in Newcastle for 4 years now, has had a positive effect on the results in the National Student Survey (NSS) for Newcastle, and caused interlibrary loans to drop in number significantly. Ken Chad was next to speak, founder of Ken Chad Consulting Ltd, whose work includes projects for JISC and SCONUL. He began by discussing the medical student Josh Harding, who spoke at this year’s UKSG conference, sharing his vision of textbooks that ‘study me as I study them’. He has become a ‘paperless student’, effectively side-lining the library, with all his resources available on his iPad. Ken spoke of how Josh uses Inkling, which provides interactive books for individuals hence enhancing the learning experience. See a blog of Josh’s talk at the UKSG Conference 2013 by the ebooks@cambridge Advisory Group’s Chair, Sarah Stamford here. The University of Nottingham has gone some way to improve accessibility to etextbooks by creating their own free ones on the Apple platform, therefore making them easily discoverable. This is one problem with the library catalogue – it requires so many clicks to reach the resource you need, leading to many students automatically using Google. Finally, Ken also spoke of The Challenge of Ebooks project, looking at the potential that is there in three sections – Creation, Consumption and Curation. This can be seen in these infographics. After a very tasty lunch the conference split into two – further education and higher education. Higher education started with Elizabeth McHugh, the Electronic Resources Manager for the University of the Highlands and Islands (UHI). She spoke of the purchasing challenges associated with ebooks, contrasting them to print book acquisitions. One key problem highlighted is the lack of a database of all available ebooks, Swetswise has the largest catalogue, however not all publishers participate. Access rights, metadata and business models are other barriers to consider. Finally Phil Gee, BSc Psychology Programme Coordinator at the University of Plymouth, spoke of how he directly negotiated with publishers to get hold of ebooks on his reading lists. Phil highlighted the importance of all students having access to the course textbooks, to ensure that their financial situation was not a barrier. By implementing this project it has freed up some library shelves, as core texts are provided electronically. He also spoke of the benefit of allowing note sharing, with lecturers being able to comment on sections in the texts. Gee explained that he wanted to promote this model of publishers selling to schools rather than the students, particularly as it much more reliable and less open to pirating. Discussions focused on whether this project would have worked if it had been trialled by the library rather than an academic, with many agreeing that on a larger scale it would be more of a challenge. Overall it was a thoroughly interesting day, providing us with lots to think about! Bring your lunch for another drop-in session! Open to everyone – students and staff – no matter what your subject! Feel free to bring along your tablet, mobile, or e-reader – there will be Wi-fi available. Don’t worry if you can’t make it! You can always contact us at ebooks@lib.cam.ac.uk. Also, keep up to date with any news from the team by following us on Twitter or find us on Facebook. For more information see this poster created by the Engineering library team. Open to everyone – student or staff – no matter what your subject! The ebooks@cambridge team will be available in this informal session to answer your questions and help you get to grips with using ebooks. We can show you how to find, access and download titles, and look into any problems you may be having. Don’t worry if you can’t make it! We have another session planned towards the end of November in Engineering. Alternatively don’t forget you can always contact us at ebooks@lib.cam.ac.uk. If you would like to advertise this session in your library feel free to use our poster. Palgrave Pivot, the mid-length digital-first research format from Palgrave Macmillan, is celebrating its first anniversary by making 110 titles free to download until 1pm this Friday (1st November). These titles are midway between an ebook and a journal article, and cover a range of subjects across the humanities, social sciences and business… Why not click here now to have a browse? If you are on campus you will be automatically authenticated to access the material. All the titles can be read online, or downloaded as a PDF or in epub format for your mobile. Note that the ‘Enhanced Ebook’ view is not complete as we only have trial access.